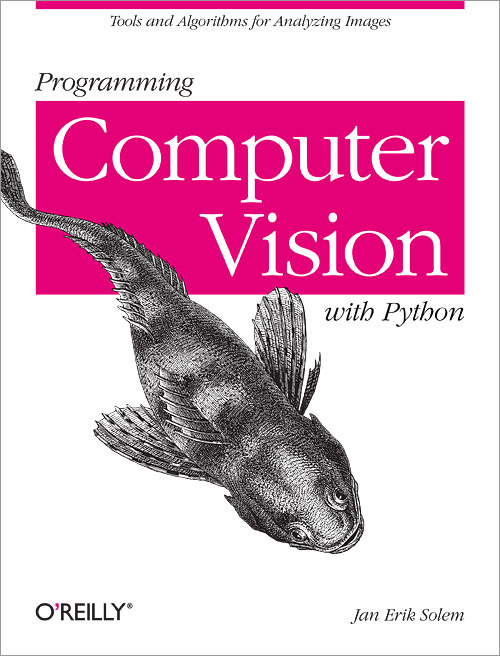 This book is a hands-on introduction to computer vision using Python. The idea behind this book is to give an easily accessible entry point to hands-on computer vision with enough understanding of the underlying theory and algorithms to be a foundation for students, researchers and enthusiasts. The Python programming language, the language choice of this book, comes with many freely available powerful modules for handling images, mathematical computing and data mining. Jan Erik Solem is a Python enthusiast and a computer vision researcher and entrepreneur. He is an applied mathematician and has worked as associate professor, startup CTO, and now also book author. He sometimes writes about computer vision and Python on his blog www.janeriksolem.net. He has used Python for computer vision in teaching, research and industrial applications for many years. He currently lives in San Francisco.